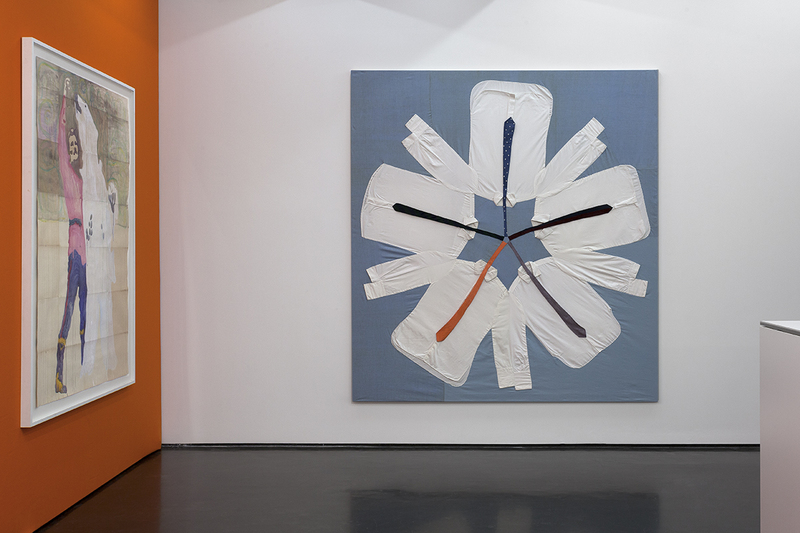 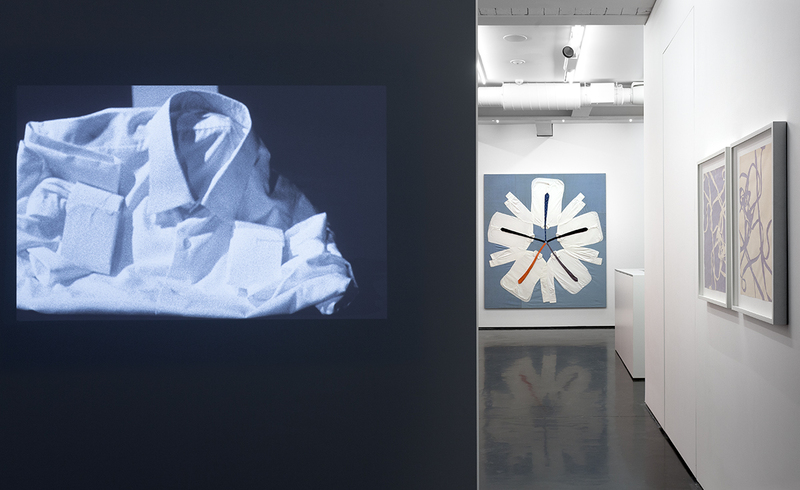 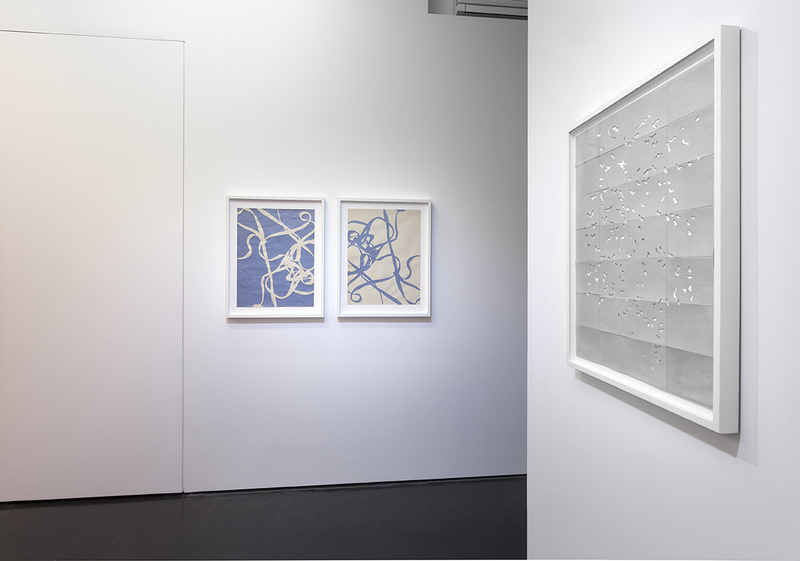 Ulla von Brandenburg’s Orange Meets Blue is the artist’s first solo show in Poland. 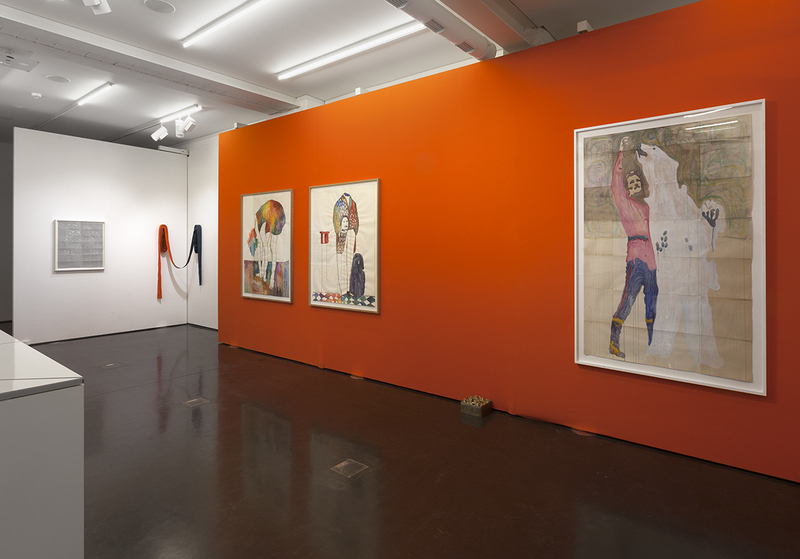 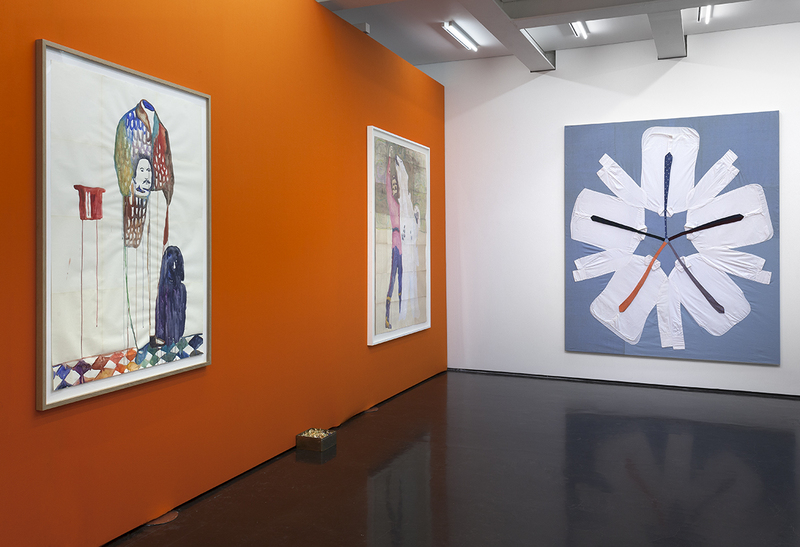 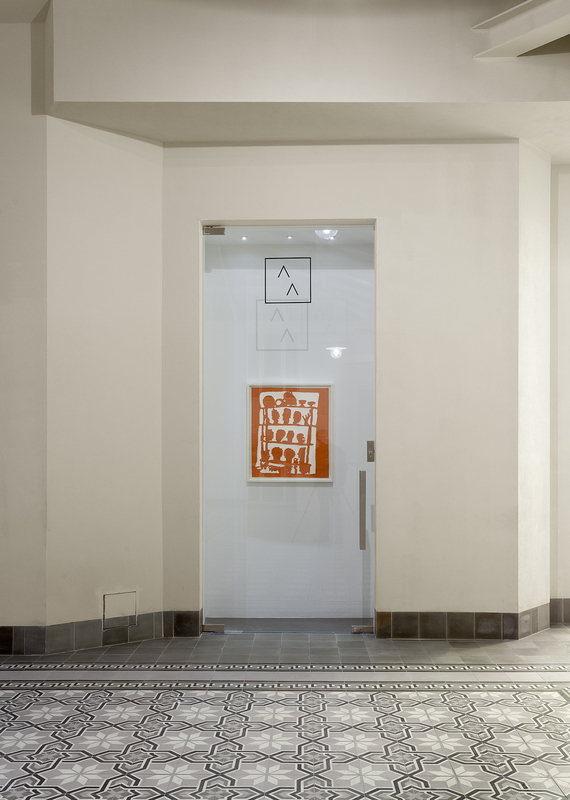 However, Polish viewers are not unfamiliar with her works, which were presented at significant group exhibitions in Cricoteka (Nothing Twice curated by Joanna Zielinska, 2014), the Centrum Kultury Zamek in Poznan (The Castle in the Air curated by Adam Budak, 2012) and the Museum of Modern Art in Warsaw (Wystawa curated by Susanne Pfeffer, 2010). 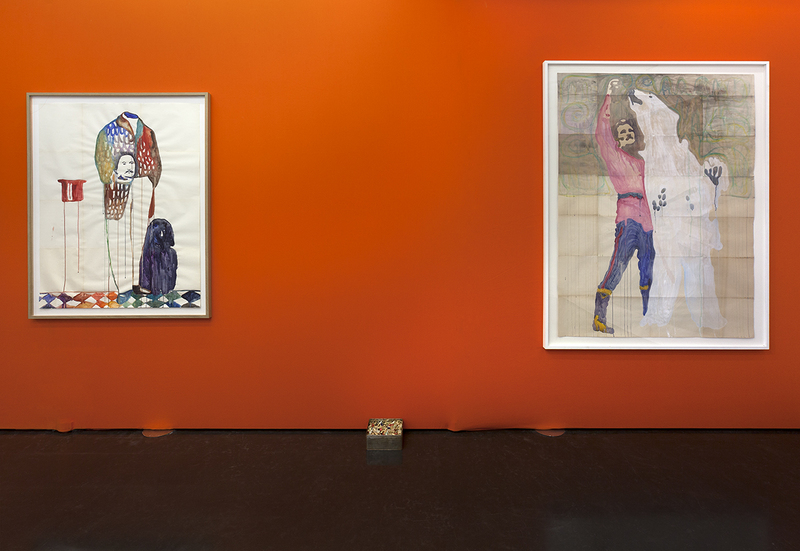 These shows created an initial framing and context for the perception and interpretation of von Brandenburg’s practice in Poland. 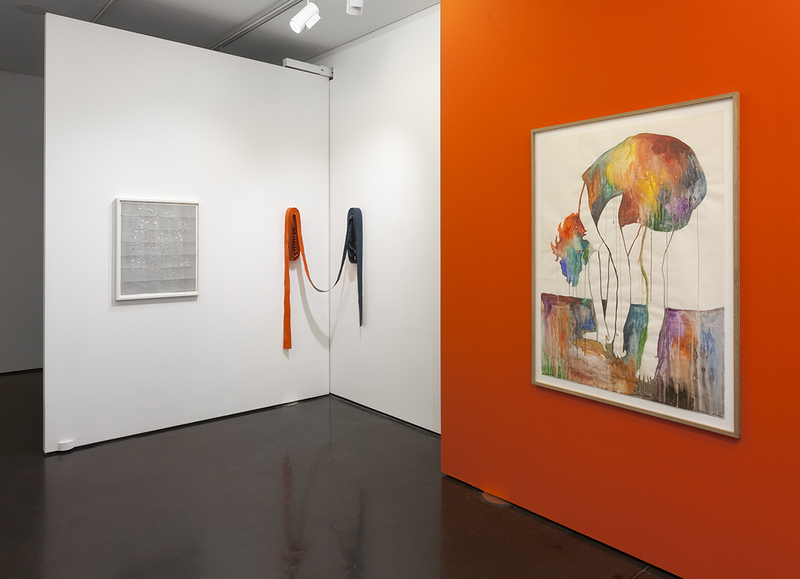 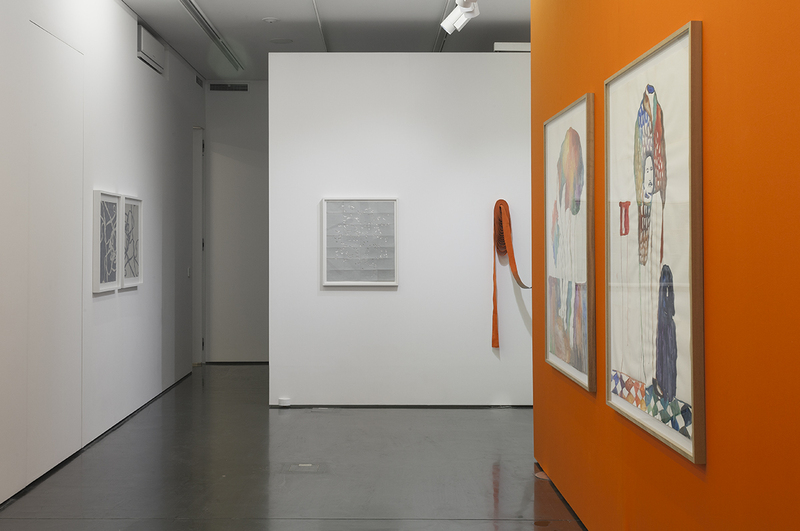 Orange Meets Blue, organized by Kasia Michalski in collaboration with the London-based Pilar Corrias Gallery, features a representative selection of works by the German artist: from a silent black and white 8 mm film to ornamental textile compositions (ribbons, quilts) to colorful and poetic works on paper (watercolors on tissue paper as well as cutouts) and installations. 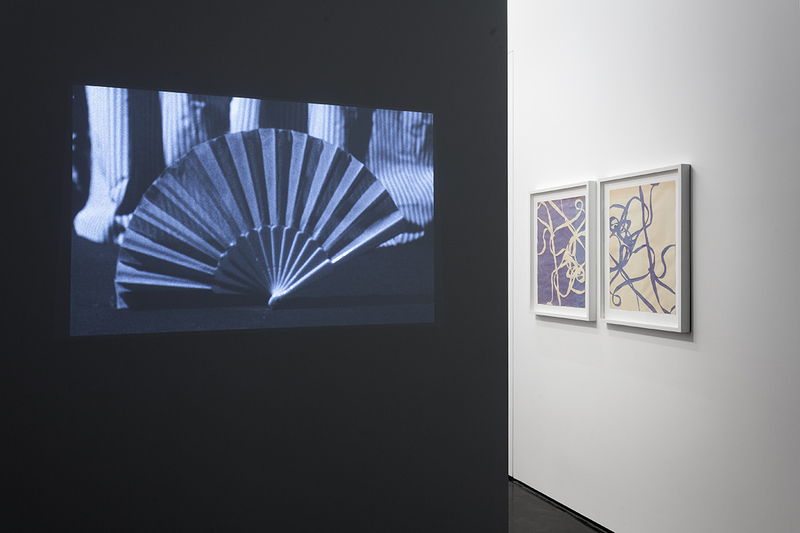 Trained as a scenographer and visual artist, Ulla von Brandenburg explores the boundaries between art and theater, creating works in which various themes and motifs, sourced from different historical periods and iconospheres (such as the circus with its magic and illusionism, the shadow play, and the theater of objects, as well as the traditions of tableau vivant and Singspiel) recur and intertwine in a sophisticated way.